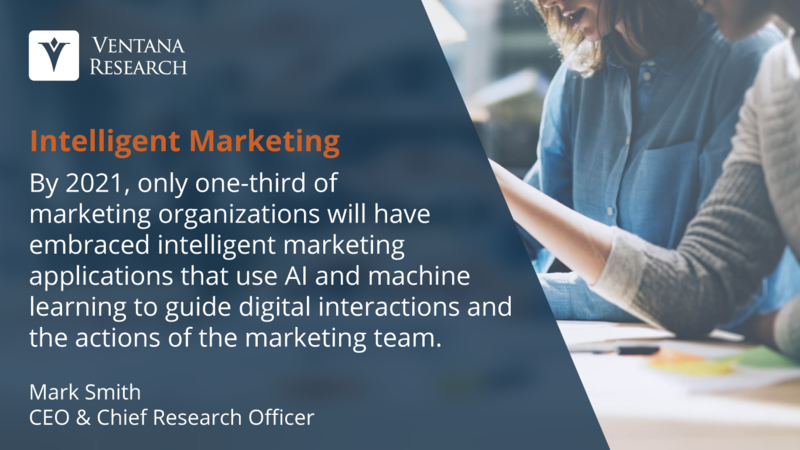 Marketing has a significant opportunity to lead and to maximize the demand for an organization's products and services by adopting innovative processes and technologies. This transformational opportunity starts with an exploration of digital commerce and marketing processes that facilitate the presentation of products and services using predictive and robotic technology. Using newly available tools to engage customers and understand the voice of the customer, marketing can deliver an engaging and satisfying customer experience. 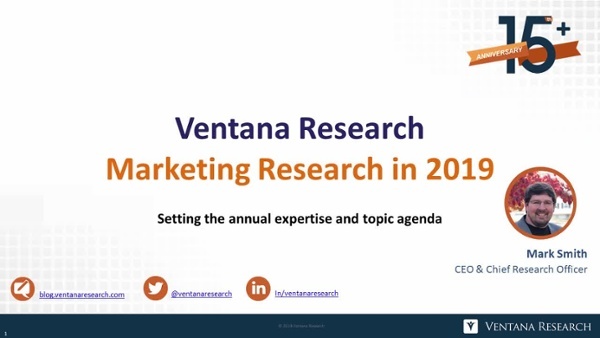 Ventana Research offers research-based guidance on how to utilize processes and applications to maximize the return on marketing investments. Change is required to gain success in managing the transformation to effective digital marketing technologies and processes. Ventana Research can help. By 2021, 2/3 of marketing organizations will have failed to deploy organizations will still have failed to deploy conversational and intelligent technologies designed to optimize the product and services experiences of customers. 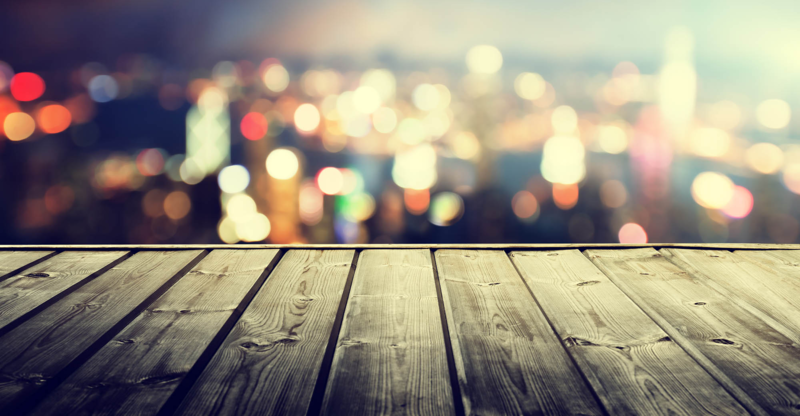 Ventana On-Demand (VOD) is an advisory service that provides access to exclusive research and monthly dialogue with our analysts.Visit the services page to learn more. The term recurring revenue refers to models for selling and billing typically based on a combination of initial fees and periodic charges. In recent years; it has gained popularity in a variety of industries. Product information management (PIM) landscape has changed drastically over the last few years, and many businesses are still trying to grapple with it. Want to see all the research? 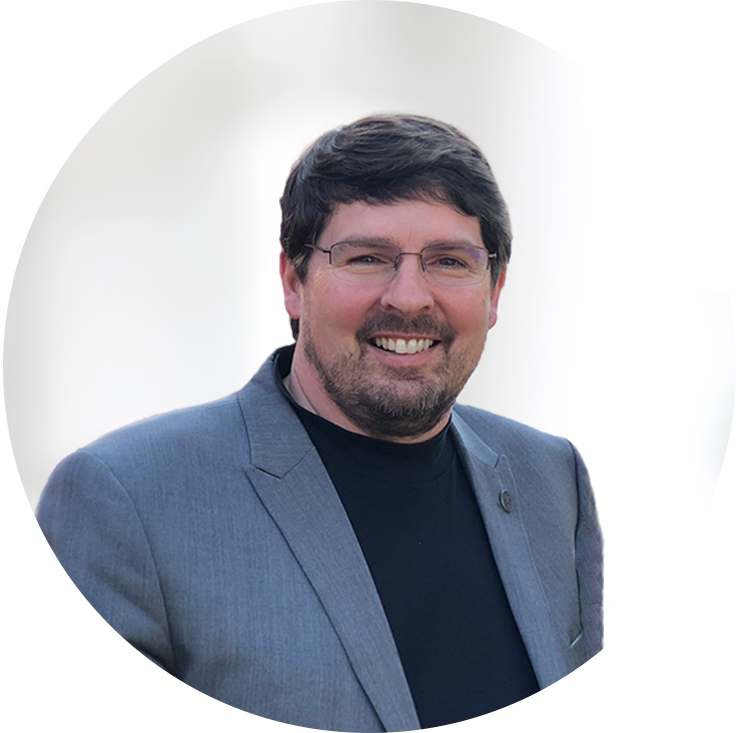 Ventana Research maintains a rigorous approach to its areas of research expertise through a methodology of processes and activities to ensure we provide the best possible insights on technology across business and IT. This is represented in our Research Agenda, which is a foundation for providing actionable information and guidance to help you identify opportunities for improved competitiveness and effectiveness. Other industry analyst firms lack methodology and a publicly available research agenda and are easily biased by clients and the industry. We take pride in our reputation for independence and provide our research calendar and agenda for visibility into the upcoming months of activity. What to see our research plans for the year? For more information on Vendor coverage, or to become a covered vendor, click here.